Posted February 23rd, 2017 by Audra Williams & filed under Renovation and Redecoration, Submitted. Midnight munchies, couldn’t figure out the brand new fridge door. I Thought you said “Donut Dog”, not “Donut Day”! 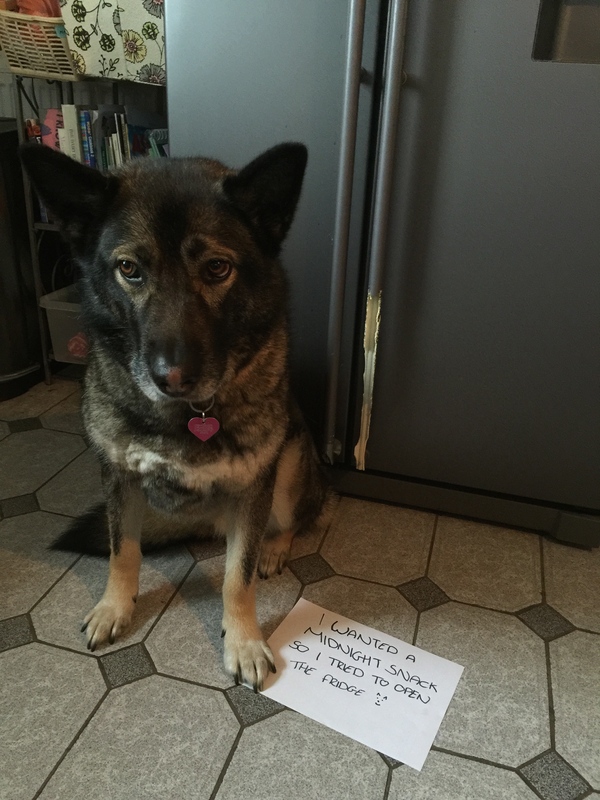 Posted May 26th, 2015 by Audra Williams & filed under Bad Bakers, Pilfering Pooches, Submitted. 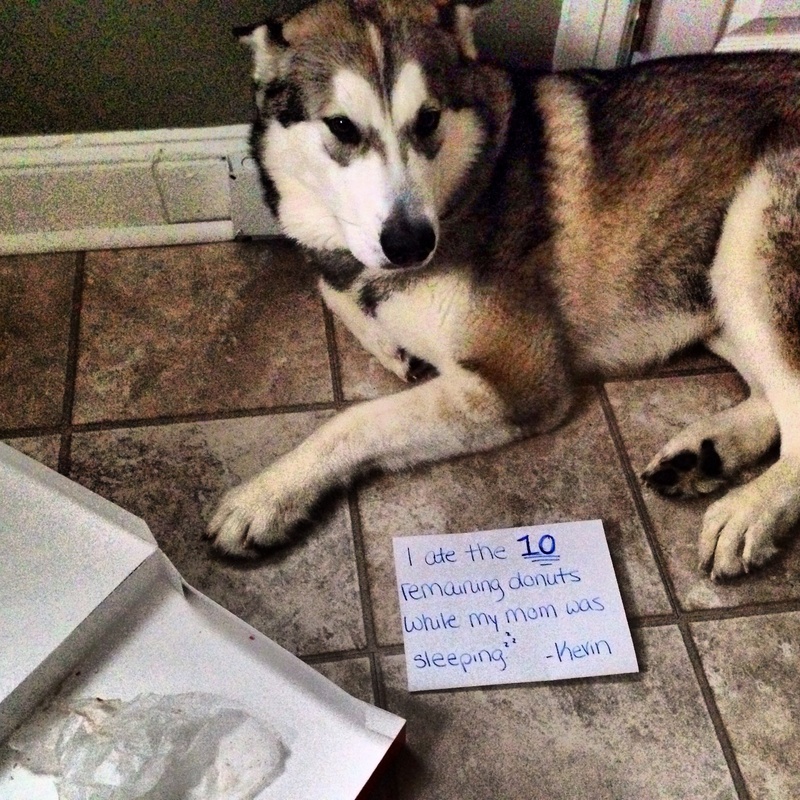 I ate the 10 remaining donuts while my mom was sleeping. 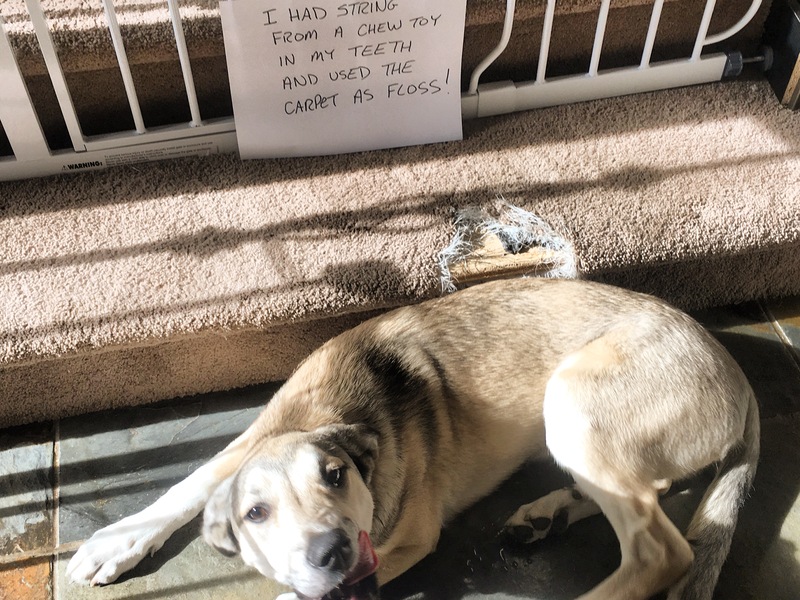 Posted March 8th, 2015 by dogkeeper & filed under Litter Box Bandits, Submitted. 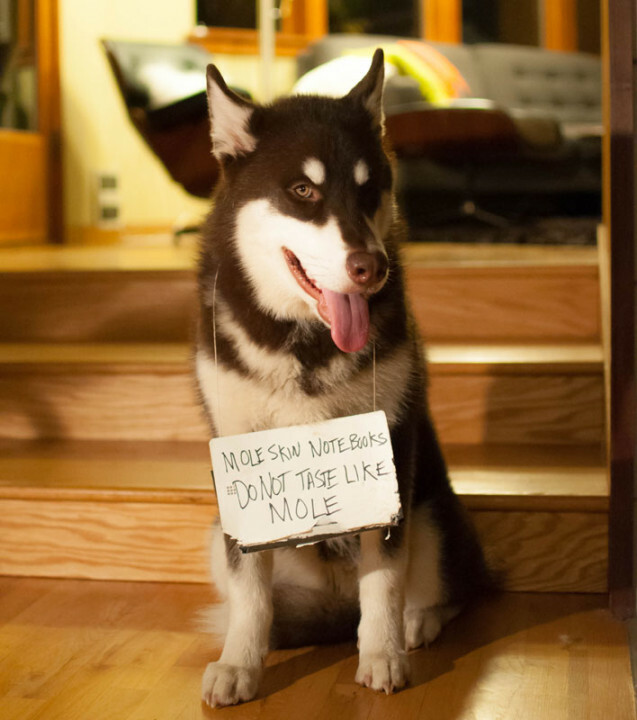 I keep going to the litter box for snacks. 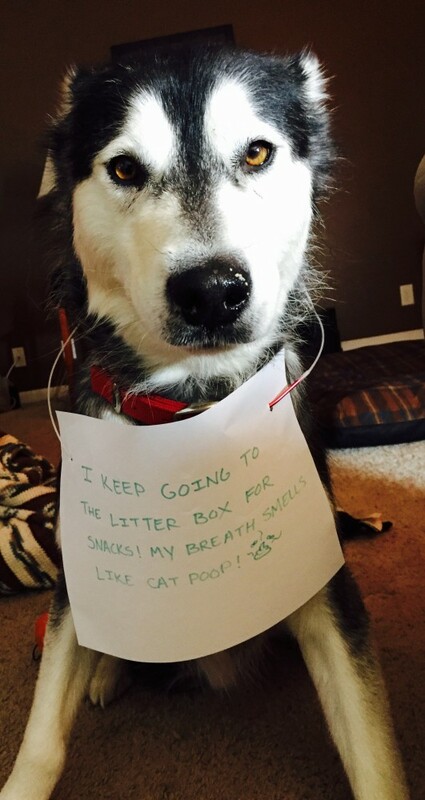 My breath smells like cat poop! 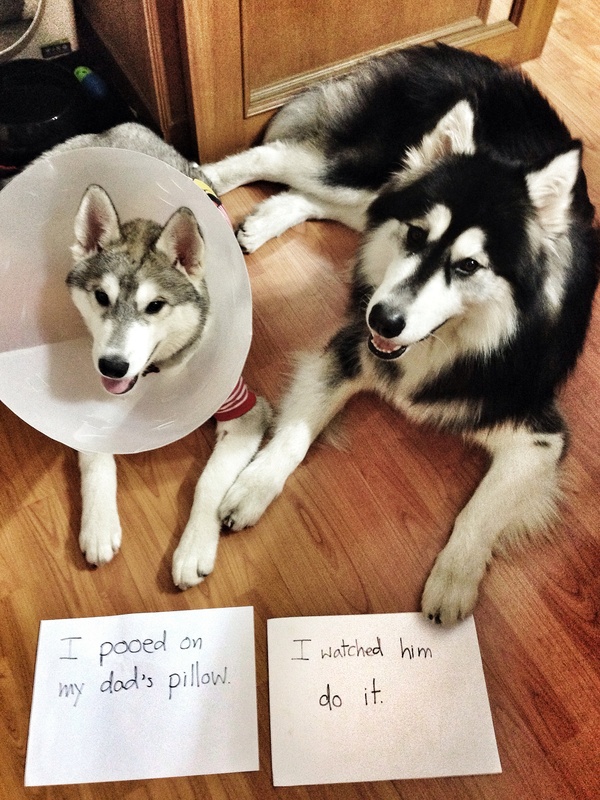 Posted January 31st, 2015 by & filed under Disgusting Doggies, Double Trouble, Submitted. 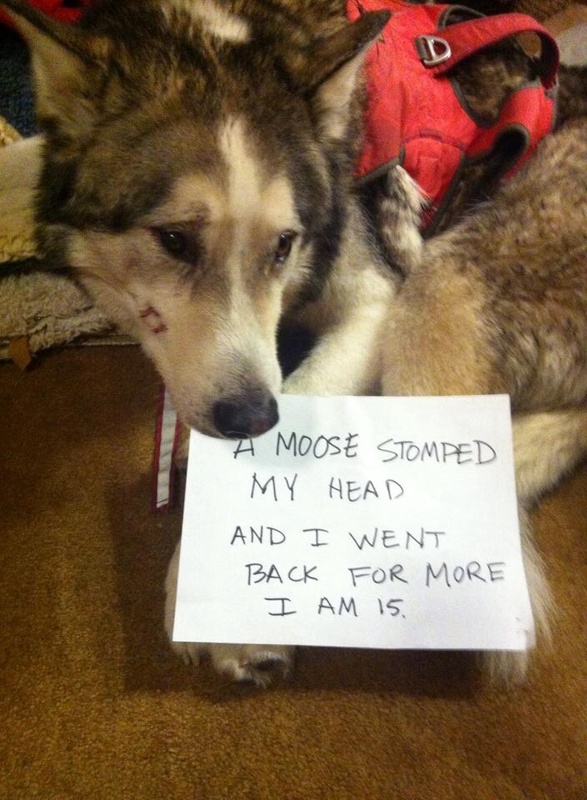 I Moost ask you a question! Posted December 1st, 2014 by & filed under Submitted, Who's Training Whom. You would think at his age he would learn not to mess with Mama moose. Posted November 28th, 2014 by & filed under Submitted, Vomit Comet. The cat puked..and I helped my mom clean up by eating it before she could grab a paper towel. I’m gross…and not sorry. Posted October 4th, 2014 by & filed under Submitted, Who's Training Whom. 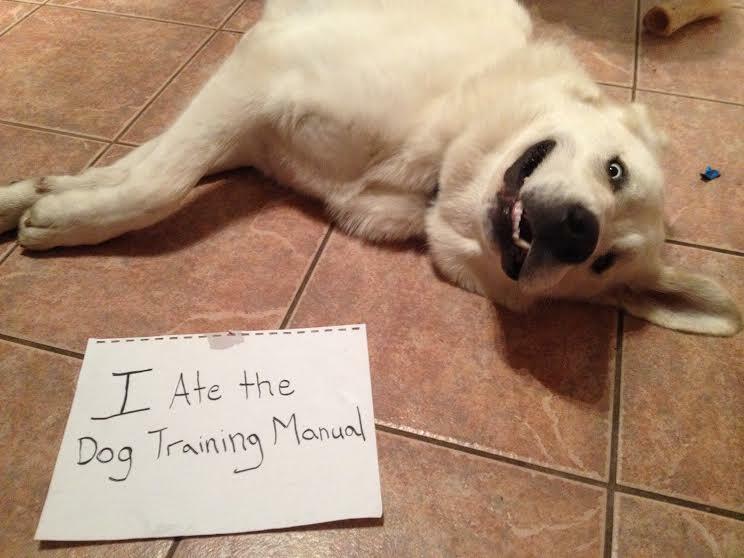 I ate the dog training manual. 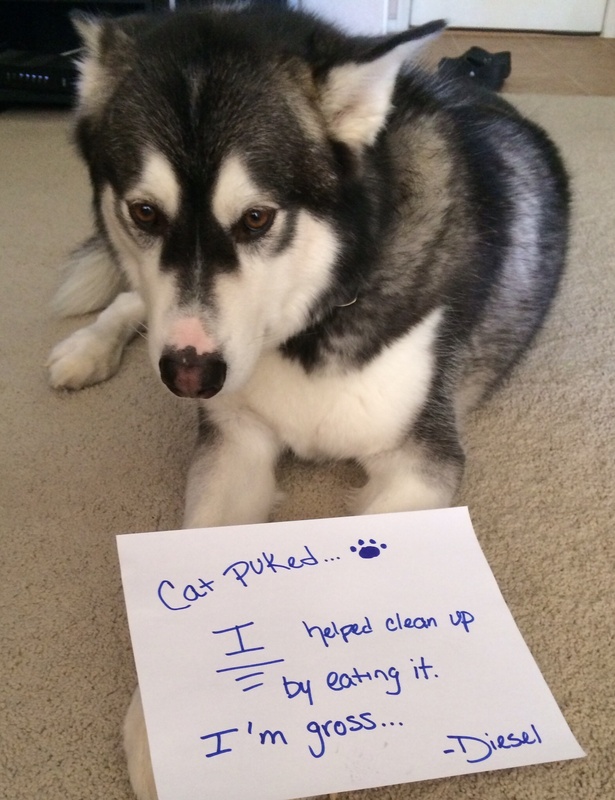 Kira, a 100lb malamute, humps my 18lb cat. 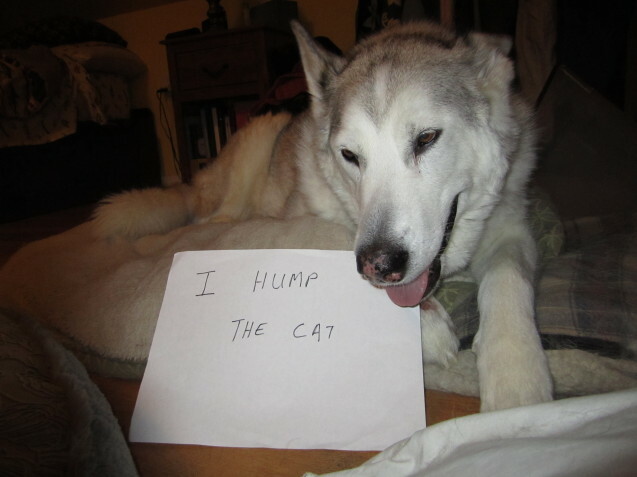 Sign reads “I Hump the Cat”.